through the ongoing delivery of videoconference and computer webinar sessions Indigenous health and wellness topics (mental, physical, emotional, and physical) of interest to Indigenous populations, health directors, health professionals, health science students, community members, elders and youth. 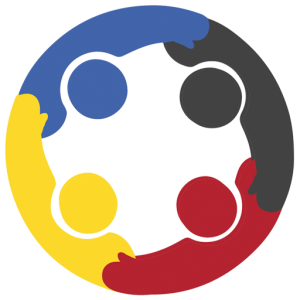 Oriented towards health care workers in First Nations communities, Learning Circles generally focus on enhancing professional skills or sharing community knowledge. Skills Enhancement: UBCLC utilizes technology to bring ‘expert’ speakers to health care workers, enabling them to stay immersed in their communities and cultures while building their skills and qualifications. Indigenous speakers are invited to present whenever possible. Community Conversations: UBCLC strives to facilitate the sharing of examples of health-related ‘best practices’ that arise from these knowledges. This enables communities across the province to explore and problem solve with one another on strengths, concerns, and needs. Provide the opportunity for health researchers, academics, students, and professionals (Indigenous and non-Indigenous) to engage with communities in an effort to increase the transparency of the research process and enhance the accessibility of academic institutions by Indigenous communities. Encourage youth, aged 12-29, to connect and share their knowledge with each other and with health professionals via technology as a way to lessen the negative health impacts of geographic and cultural isolation. Youth participation is strengthened by UBCLC staff outreach activities at youth conferences and community events. Click here to download a PDF version of the UBC Learning Circle document.